Dark secrets at the maharajah's palace. Lost treasure and a bear attack in the Himalayas. And a naughty Indian monkey, filled with an ancient evil. When world-famous explorer Gustav Champlon disappears just before a trip to India to find lost treasure, Kit Salter is determined to discover why. Tiny footprints in Gustav's room put her on the trail of a naughty Indian monkey. 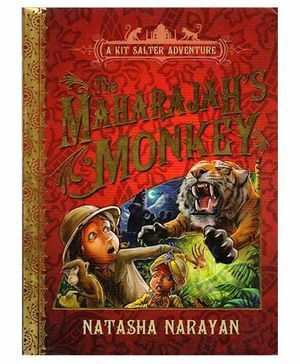 Before long she and her friends are aboard a steamer to India, on a quest to find the monkey and save Champlon. Welcomed into the palace of the boy Maharajah, a fabulous adventure ensues: Tiger hunts, court intrigue and a mountain expedition to find the lost paradise of Shambala.